Customized staff paper for use in private lessons, composition, or just sketching out some ideas. Available for Piano, Drum Set, Guitar and Bass with TAB. The GuitAlphabet introduces note reading on the guitar, while familiarizing the student with the fretboard. UPDATE: Now featuring a southpaw-friendly version! 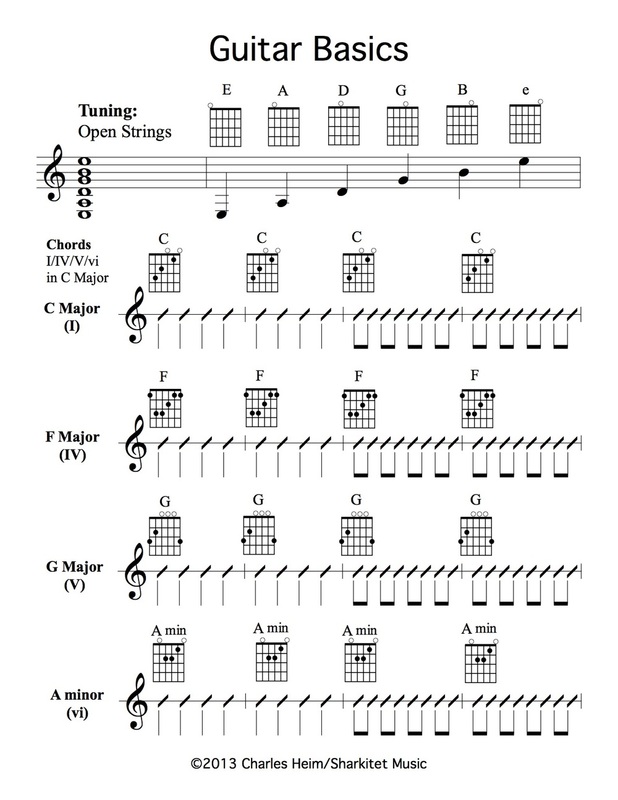 Here's a bit of reference material for the guitar student. 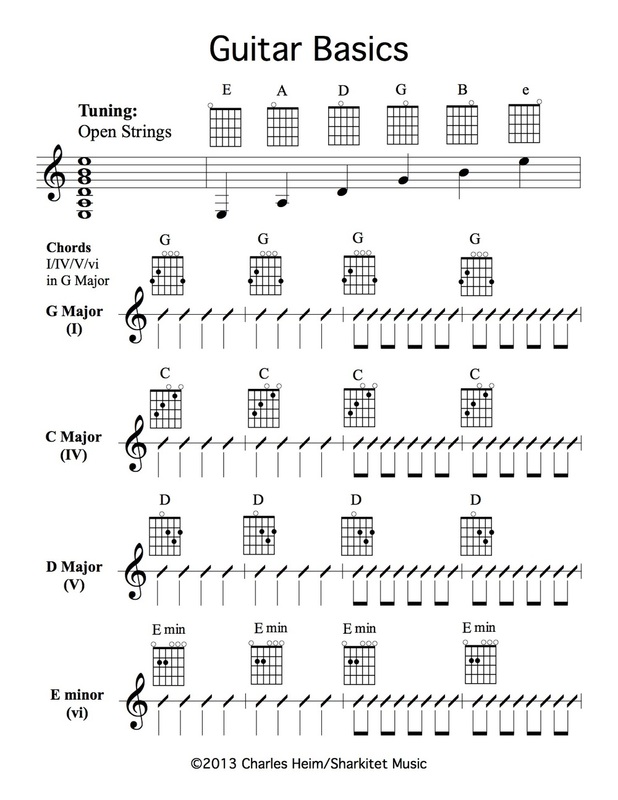 Guitar Basics features some simple notation and fretboard diagrams to help get familiar with the instrument. Available in common keys C and G Major. UPDATE: Now featuring a version for the lefties out there! This worksheet introduces 16th-note syncopation on the bass drum, picking up where Rock Basics II left off. Here's a couple of worksheets that I use with private drum students. It breaks down playing a basic rock beat on the drum set, and advances with some more developed coordination and rhythmic variations. Here's a reference that I put together for students of the drum set. It explains the relationship between the notes on the staff and the parts of the kit. Additionally, it helps break down the values of different kinds of rhythmic notation.